Anguilla is the island closest to St Martin, a ferry ride over is only half an hour and the ferry goes often. Anguilla is British – take that into account when renting a car there, it’s left hand driving – and mostly flat. 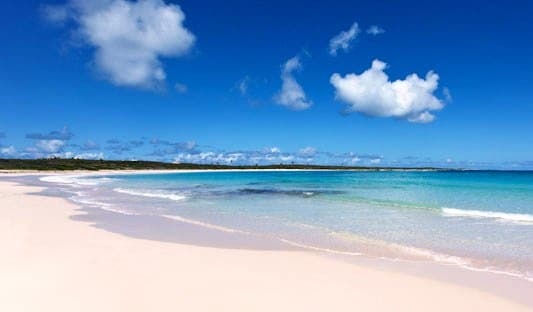 She’s a favorite hideaway for the rich and famous with all her stunning white sandy beaches and her quietness, hence Anguilla’s slogan ‘Tranquility Wrapped in Blue’. But there’s more! 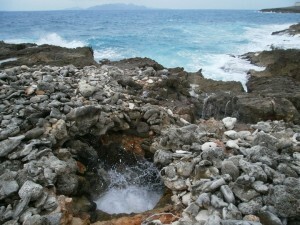 Anguilla boasts 17 salt ponds, a small forested area and a few cool caves where lots of lovely wildlife can be spotted. 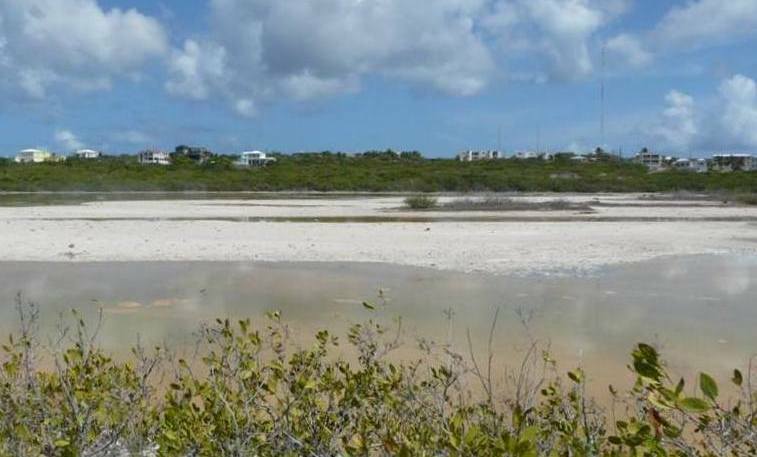 Birdwatching on Anguilla is easy, since most ponds are fringed by roads you can stay in your air conditioned car if you wish and still spot a lot of birds. Easiest and cheapest way to get to Anguilla is by ferry. The ferries leave every 45 minutes from the ferry terminal in Marigot, the capital of French St Martin, the earliest departure at 8.15 am. The last ferry goes back around 6 pm, check in at least 15 minutes in advance. Below info on the different Nature Tour options, we’re happy to help you book your daytrip to Anguilla. Anguilla is nice and flat for the most part and thus ideal for easy walks and hikes. 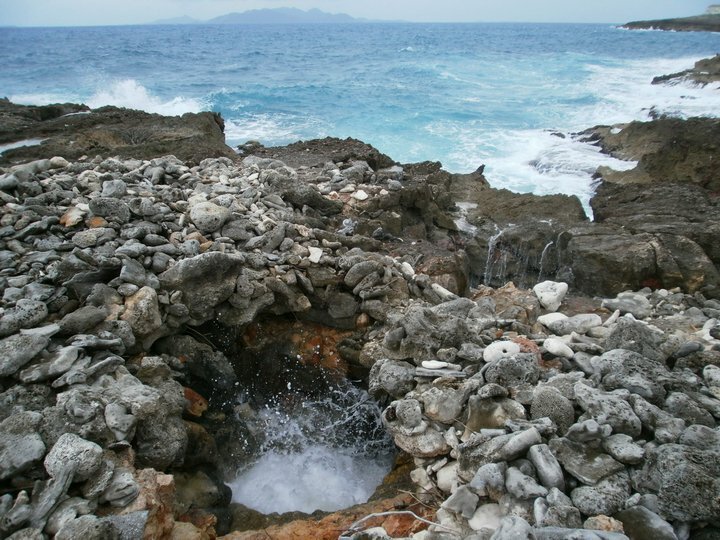 The Anguilla National Trust offers birdwatching trips, heritage tours and hikes for $50 per person. There are discounts for groups of 6 people and more and children under 12. The heritage tour focuses on the history of the East side of Anguilla. Lenox Proctor also offers tours of Anguilla through his company Walkabout Anguilla. He’ll take you around for $50 per person and is a very knowledgeable and local guide. He can only be contacted by phone, send us an email if you would like his number. 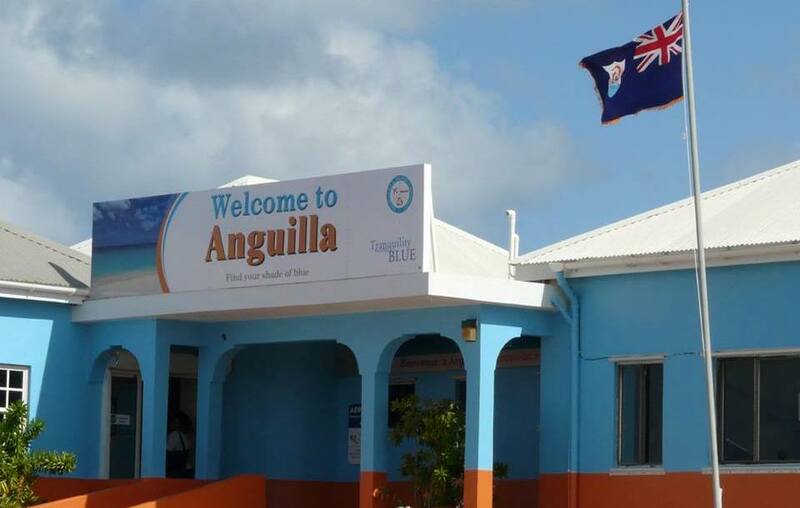 Below info on visiting Anguilla just for the day and the advantage of staying over one night. 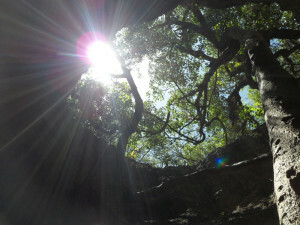 Anguilla has two accessible caves in the Katouche area, where you can also find Anguilla’s only forest. Gavannah cave has been used for phosphate mining in the 19th century and had fossilized remains of a prehistoric huge rodent. Visiting this cave involves some climbing and crawling through narrow spaces. Katouche Cave has a tall fig tree growing in the middle of its open topped center and is the home to a lot of bats, funnily enough it’s also called Iguana Cave. On the way to the cave you’ll pass an old well. Exploring one or both of Anguilla’s caves is a great adventure for the whole family and done best with Oliver Hodge, a knowledgeable and local guide. Oliver can tell you all about the local history, flora and fauna and charges $50 per person for a guided hike to one cave. Send us an email for his contact number. 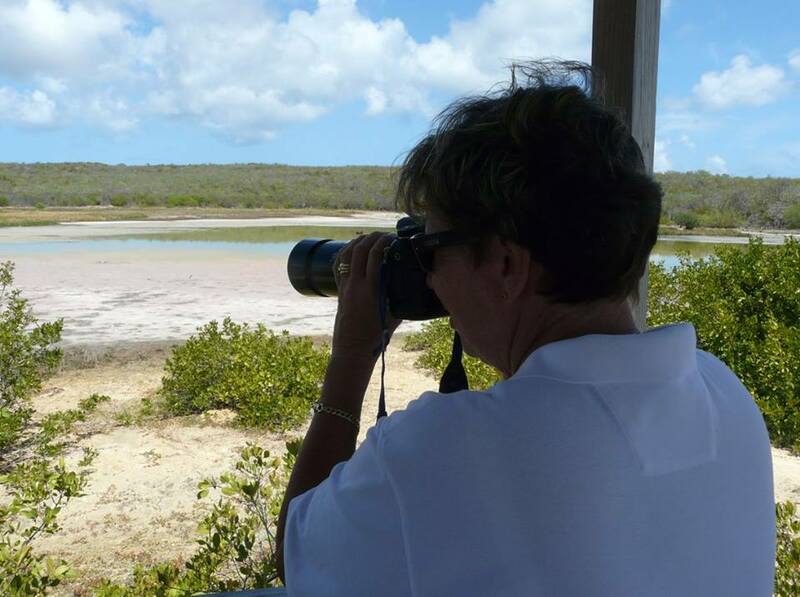 Jackie of Nature Explorers Anguilla is a wonderful birding guide and has been birding on Anguilla for more than two decades. 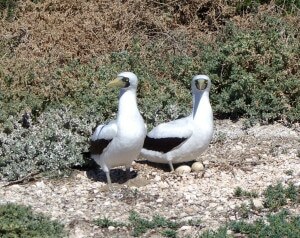 She conducts monthly bird censusses and promotes birding and preservation of habitats amongst Anguillians. Her dream is to buy Dog Island one day through crowdfunding or something similar, to make it a protected bird sanctuary for the thousands of sea birds nesting there. More on Dog Island and how to get there below. Jackie’s regular tours start nice and early, before 7am and are $65 per person. Birding is best in the early or late hours of the day when the birds are more active. For the early tour you’ll have to stay on Anguilla the night before, for more info on that below. Would you rather see Anguilla’s birds during a daytrip – which is very doable, most birds can be spotted from the airconditioned car – then Jackie can also pick you up from the ferry terminal and show you the birds during a later morning trip. Dog Island is one special place in the Leeward Islands. 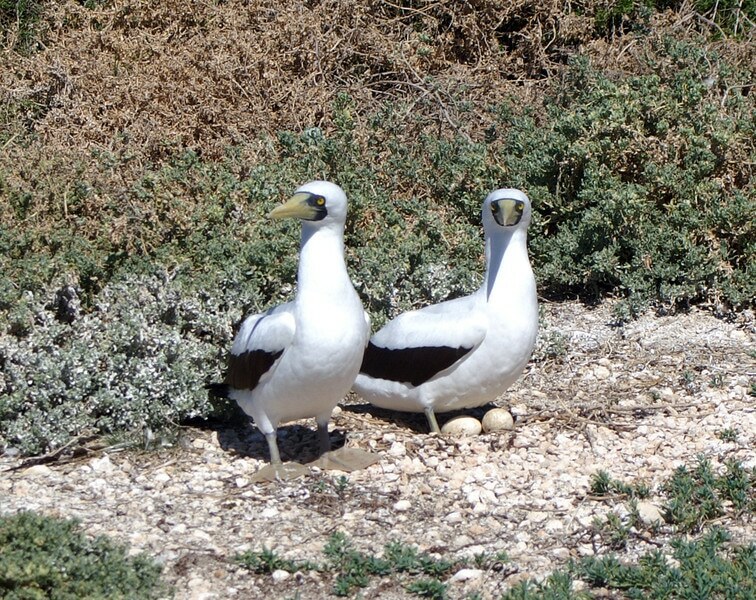 It’s paradise for sea birds and birdwatchers and can be compared to the Midway Islands and the Galapagos Islands when it comes to its importance to the region and the world for its nesting colonies of certain sea bird species. Dog Island is a privately owned uninhabited island and can only be visited with permission from the owner who is residing on Anguilla. Jackie knows the man and she is allowed to take guests over on a boat ride for birdwatching. A Boat & Birding trip will take a whole day and includes a stop at Prickly Pear Cay, also a wonderful bird habitat with in season nesting Brown Noddies and Bridled Terns. Prickly Pear is popular amongst daytripping snorkelers – most of them coming by boat directly from St Maarten. Lunch will be here at one of the two bbq style restaurants. Access to Dog Island is very tricky and only possible in super flat seas which we only might have between April and August. Otherwise the boat will circle around the island for spotting the birds from sea. The Boat & Birding trip is $2500 for the boat plus $150 per person. Drinks, lunch and use of binoculars are included. The boat can take up to 10 guests, Jackie prefers to go out with a minimum of 6 guests so the trip will be $567 or less per person. I’ll gladly put you in touch with Jackie from Nature Explorers Anguilla to discuss a Boat & Birding trip to amazing Caribbean bird haven Dog Island. Check out her website for her week long Birds in Paradise packages. Anguilla has lovely snorkeling from most of its beaches. Some pretty areas like Little Bay, Sandy Island and Prickly Pear can only be reached by boat, several day charters leave from Road Bay Anguilla but also directly from St Maarten and St Martin. A daytrip from St Maarten on either a speed boat or a sailing catamaran including snacks, lunch and (alcoholic) beverages costs around $100 per person. Contact us for Prickly Pear and other snorkel daytrips from St Maarten departing closest to your resort. Scuba Diving Anguilla is wonderful, there are lots of wrecks beautifully covered in corals for instance. 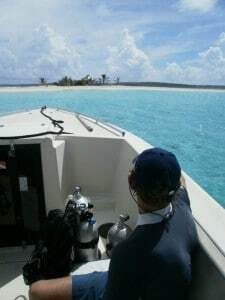 We highly recommend Shoal Bay Scuba. It won’t be possible to dive Anguilla during a daytrip from St Martin though, the ferry arrives too late, all three dive shops will have left for their morning two tank dives before you arrive. Stay over a night and then dive the next day. When arriving on Anguilla on Thursdays you’ll be able to join Shoal Bay Scuba for their awesome night dive ($100). Then make two dives ($100) or go out on one of the other Eco Tours the next morning. For more info on staying over see below. Since the earliest ferry arrives on Anguilla at 8.45 am, it is not possible to go out on early birding trips, early hikes or with the normal dive schedule. Birding later in the morning is still fine, especially since most of the birding can be done from the air-conditioned vehicle. Hiking will be rather hot during summer when not starting early. To participate in an early morning activity, you’ll have to stay over on Anguilla the night before. Luckily Anguilla does not only cater to the rich and famous, we can recommend you a double room for around $125. When going over from St Martin to Anguilla for just the day for birding or other eco tours, you can ask your guide to drop you off after the (half day) tour at one of Anguilla’s stunning beaches – Shoal Bay East has a nice restaurant with beach chairs and great snorkeling in azur blue water for example. The ambiance and views from reggae legend Bankie Banx’ Dune Preserve in Rendezvous Bay are also great and closer to the ferry. And then when you’re ready to leave – at the latest at 5pm – ask for a taxi to the ferry terminal. We’re happy to help you book your trip to and tour(s) on Anguilla, just send us an email with your wishes and when you’ll be on St Martin.